Finnish airline Finnair invited a group of journalists from Finland, Estonia, Germany, Russia and Sweden to experience Puerto Vallarta-Riviera Nayarit and motivate their readers to visit the region during the next winter season. 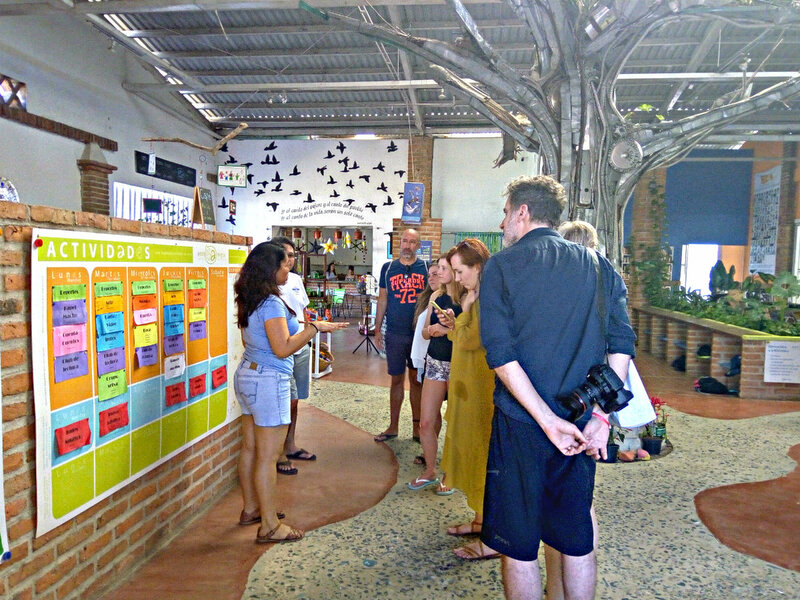 A group of travel and tourism journalists from Finland, Estonia, Germany, Russia, and Sweden visited the Puerto Vallarta-Riviera Nayarit region for a fam trip organized by Finnair, so their articles and postings would motivate travelers from those countries to come to this destination during the next winter season, given the success of the first flight from Helsinki, Finland, to the region. 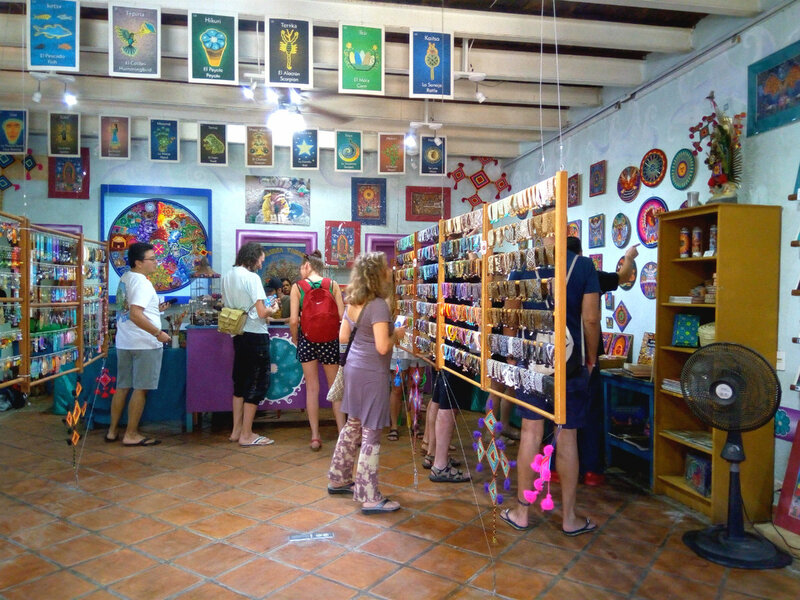 The trip took place from March 11-18, during which time the journalists enjoyed a relaxing stay in Puerto Vallarta and the Riviera Nayarit, where they visited the most iconic attractions based on an itinerary prepared for them by the Riviera Nayarit Convention and Visitors Bureau (CVB), the Bahía de Banderas Hotel and Motel Association (AHMBB), and the Puerto Vallarta Tourism Trust. The journalists included Sweden’s Johana Viktoria Juni Jackson, digital editor and reporter for travel magazine and website, Vagabond; and photographer Reine Hefvelin and travel writer Malin Hefvelin, both of whom work for Sweden’s News. From Russia, the group included Iana Prussakova, editor-in-chief of online news portal Fontanka.fi, and Igor Mozheiko, art director for Sobaka. From Germany: Dirk Baumgartl, strategic travel content director for Spartacus Traveler, Mate Magazin and the LGBT porta, blu.fm. From Finland, Tiia Rantanen, freelance reporter for ELLE magazine; and, from Estonia, Kairi Prints, editor for the magazine Delfi. Among the hosts were Finnair’s Marja-Liisa Väätäinen-Pereira and Visit Mexico’s Vicente Salas. After their arrival at the Gustavo Díaz Ordaz International Airport, which connects both destinations, the travelers were whisked away to Libitú in the Riviera Nayarit, where they checked into the Iberostar Playa Mita, their home away from home during the first days of their stay in Mexico’s Pacific Treasure. After a site inspection of the hotel on Monday the 12th, the group went to Sayulita, a small, charming village also known as the “Surfing Capital” of the Riviera Nayarit, where they walked down streets lined with galleries and handicrafts shops filled with Huichol art. The second traditional village on the journalists’ itinerary was San Francisco, lovingly called San Pancho, the “Cultural Capital of the Riviera Nayarit.” This is the home of the famous Polo Club that comes to life from November through May. 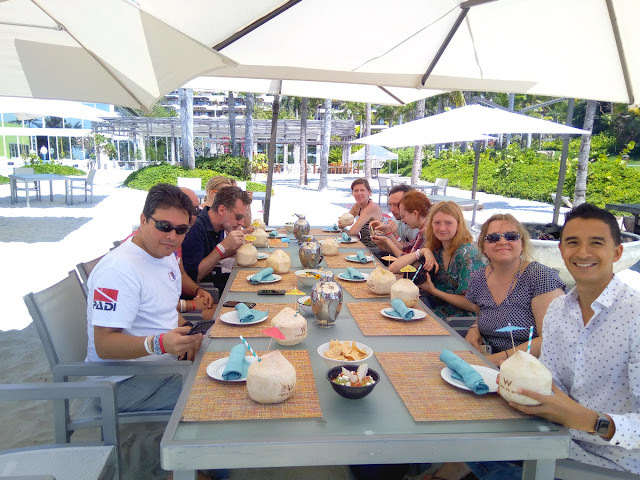 That afternoon they enjoyed a lunch at the W Punta de Mita. 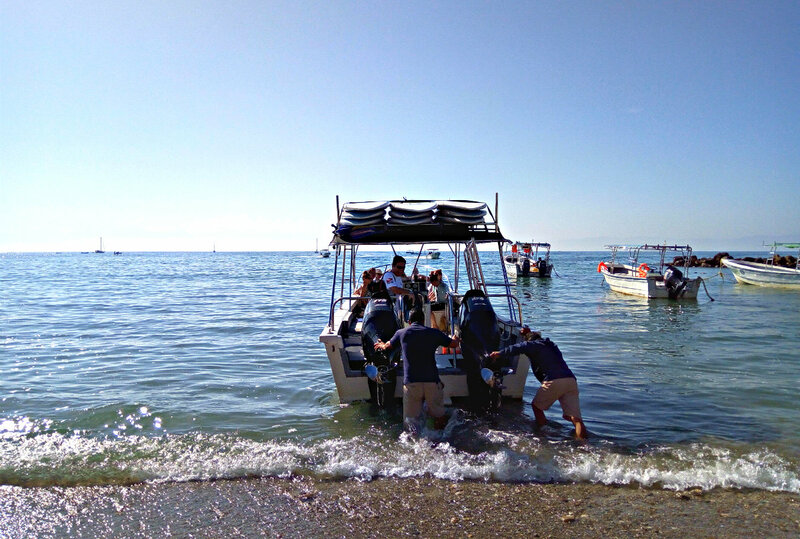 On Tuesday the 13th they went on a marine safari through the Islas Marietas led by Punta Mita Expeditions, which took the travelers on an up-close-and-personal visit of this wildlife sanctuary located in the extreme northern part of Banderas Bay. It’s also home to the famous Playa Escondida, or Hidden Beach. Afterwards there’s nothing better than a good meal at Playa El Anclote in Punta de Mita, where there are several world-class restaurants along its culinary corridor. 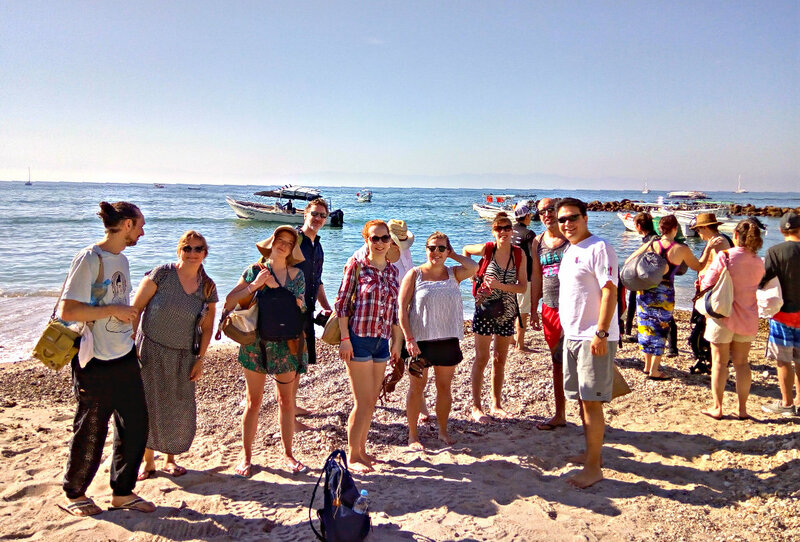 The group left on Wednesday to visit the fishing villages of Lo de Marcos and La Cruz de Huanacaxtle, with their laidback ambiance and beautiful beaches, where they were treated to fresh local dishes. They also made a stop at the Marina Riviera Nayarit in La Cruz to see its famous local market. That evening, the Iberostar Playa Mita hotel hosted the travelers for a cocktail and a farewell dinner. Last but not least, on Thursday the 14th—their last day in the Riviera Nayarit—the itinerary included a tour of Bucerías, the Riviera Nayarit’s “Wind Capital.” This fishing village has retained its authentic Mexican style of cobblestone streets, small shops, and numerous seafood restaurants along the beach, and is very close the Nuevo Vallarta and Flamingos developments. Before continuing on to Puerto Vallarta, the journalists expressed their thanks to the hosts. 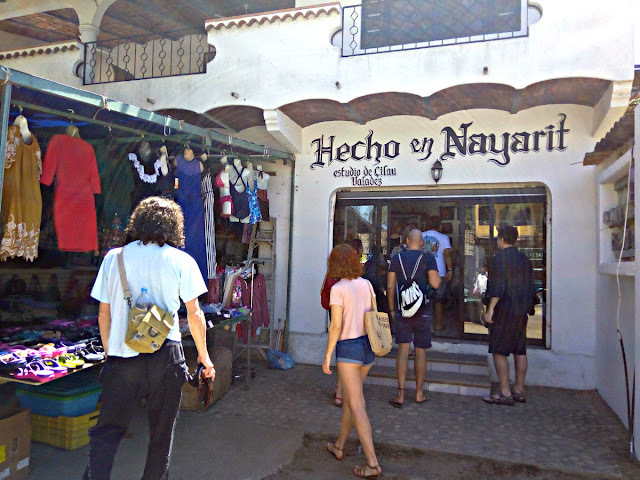 They mentioned they were pleasantly surprised and made it a point to add the Riviera Nayarit is a very special destination and they will be more than happy to write about their experiences. The first Finnair flight from Helsinki, Finland, arrived at the Puerto Vallarta-Riviera Nayarit region on November 5, 2017. It will maintain a weekly frequency every Sunday through March 18th of this year, transporting a little over 6 thousand passengers during that time period. The Riviera Nayarit Convention and Visitors Bureau (CVB) and the Bahía de Banderas Hotel and Motel Association (AHMBB) renew their commitment to the strategic promotion of the destination, seeking areas of opportunity in order to increase the influx of tourists, with the backing of the Government of the State of Nayarit via the Tourism Promotion Trust (Fiprotur).